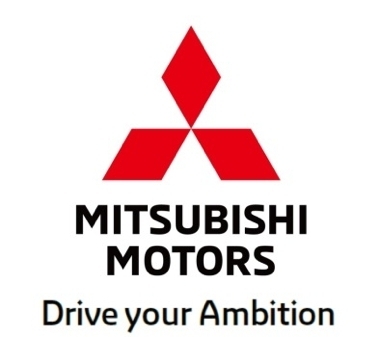 CYPRESS, Calif.--(BUSINESS WIRE)--Mitsubishi Motors North America, Inc. (MMNA) today released its new marketing campaign for the all-new 2018 Eclipse Cross. With a reputation of being fun to drive and advanced in technology, the Eclipse sports car was one of Mitsubishi’s best-selling, iconic vehicles. Now, the Eclipse moniker is being reborn with the same reputation for driving dynamics and technology in the form of a crossover. The new advertising creative capitalizes on the reinvigoration of the brand as well as the classic vehicle and a classic song, both being reborn. The latest spots began airing today and feature world-renowned musicians Damien Escobar and William Joseph. Escobar is an Emmy award-winning violinist, and Joseph is a pianist, recording artist, and producer whose performances garner millions of views online. The spots feature the musicians’ creative interpretation of the Twisted Sister classic rock anthem, “I Wanna Rock” and position the vehicle as the CUV that has it all with premium styling, intuitive technology and Super All-Wheel Control (S-AWC) starting at $23,295. “You get a lot of bang for your buck with the Eclipse Cross – distinctive styling, it’s fun-to-drive, and has a ridiculous amount of technology. The product speaks for itself, we didn’t feel we needed to create a false reality around it,” noted John Butler, chief creative officer, Butler, Shine, Stern & Partners. 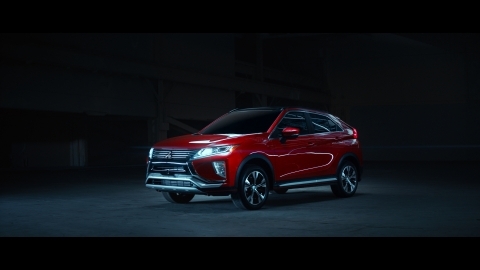 The new Eclipse Cross spots also mark a return to network television for the brand with prominent placement on ABC, CBS, FOX and NBC, as well as the highest media spend in 11 years. The media spend will include television (network and cable), online video (Hulu and YouTube), outdoor billboards, and digital. The spots are currently available at https://youtu.be/NQfV4z2anjk. The Eclipse Cross will join the Outlander PHEV, Outlander Sport and Outlander to form a formidable CUV lineup for Mitsubishi Motors. The Eclipse Cross contains many all-new available features including a 1.5-liter direct-injection turbo-engine, dual-pane power sliding panoramic roof, 7-inch smartphone link thin display audio with touchpad controller, Head-Up Display (HUD), heated rear seats and the launch of MITSUBISHI CONNECT, brand's new connected vehicle services program. The 2018 Mitsubishi Eclipse Cross is currently in dealerships. For more information on the vehicle, please visit media.mitsubishimotors.com. Mitsubishi Motors North America, Inc. (MMNA) today released its new marketing campaign for the all-new 2018 Eclipse Cross.